One of the most sensitive and intricate areas of legal practice is Domestic Relations and Family Law involving legal issues which relate directly to families, relationships and children. 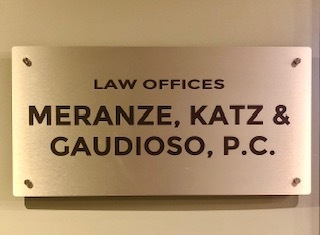 At Meranze, Katz and Gaudioso PC, you will find attorneys who will not only zealously represent your interests, but who will address your case and concerns with compassion and sensitivity to the emotional issues which come hand-in-hand with Domestic Relations and Family Law. Meranze, Katz and Gaudioso PC offers representation in all areas of Domestic Relations and Family Law including child support, custody, divorce, spousal support, property settlement agreements, and prenuptial agreements.